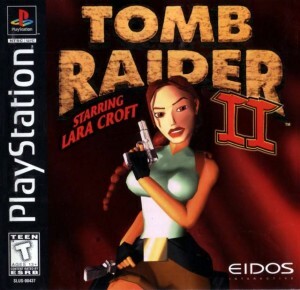 I loved the original Tomb Raider, but the enhancements added to Tomb Raider 2 made it so much more to play. The expansive, globe trotting mission to retrieve a magical dagger and kill a dragon is enough to hook you, but there is so much more. The Great Wall of China, Venice, Offshore rig, Tibet, etc. This is a huge game. It is tough with time traps, spikes, spinning blades, bad doggies, bad guys, and a dragon. This wasn’t Xbox360, but for its time (and still today, actually) it is a classic. The games moved away from tomb raiding, but this was Tomb Raider at its best. I really enjoyed the Venice Violins music that you can play in Lara Mansion as you explore. Video games. It’s what people do when they should be; working out, calling their Mom, going to work, whatever. I haven’t owned every platform, but I have compiled my 10 favorite video games (Even though I list them from 10 to 1, sometimes I re-arrange the order myself). 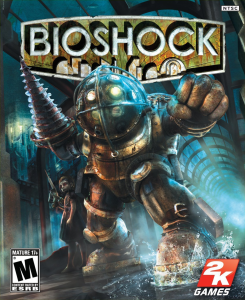 The spookiest, most atmospheric, fun game ever. Creepy splicers chasing you, weird dentists that I hope aren’t on my dental plan, Big Daddies, amazing plasmids and choices that rule/change the outcome. Two more things; The smoke and lighting effects are incredible, but the most spooky aspect of this game (for me) is the classic ‘old-timey’ music being played on other-worldly speakers throughout the game. Don’t ask me about the 2 or Infinite – the original is still the best.